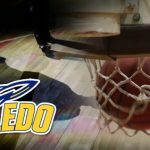 Two former University of Toledo basketball players have been sentenced to probation in light of a point-shaving scandal. US Federal authorities have charged 10 people including former University of San Diego basketball star Brandon Johnson in a point shaving probe. For the record, the rumor was completely false. But since when did mainstream media turn to gaming websites for their news?